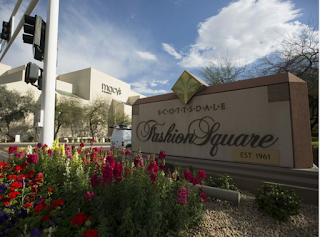 Arizona is a top potential prize in the proposed $22.4 billion purchase of the Macerich Co. by rival mall operator Simon Property Group — a transaction that could set in motion a musical-chairs shuffle of some of the state's most prominent shopping centers among three companies. Macerich owns more malls and office parks in Arizona than in any other state, including marquee properties such as Scottsdale Fashion Square, Arrowhead Towne Center, Chandler Fashion Center and Biltmore Fashion Park. By contrast, Simon, the industry's biggest player, has two shopping centers in Arizona, both in the southeast Valley, with a third under construction in Tucson.